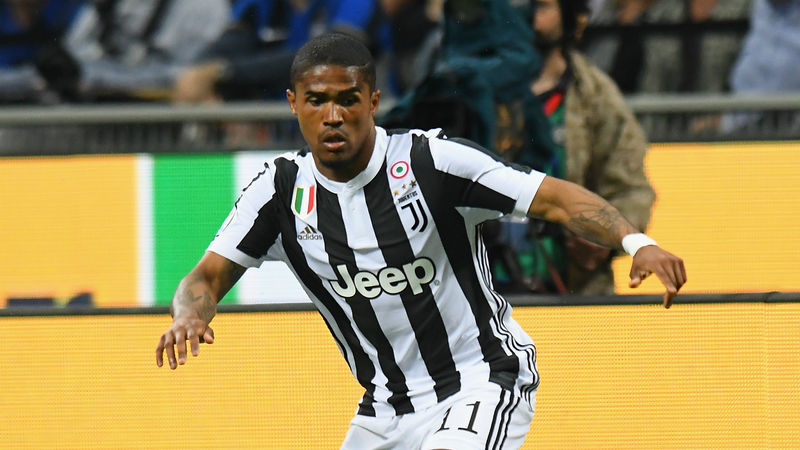 Juventus’ Douglas Costa has been banned for four matches after spitting at Sassuolo’s Federico Di Francesco during the teams’ weekend match, Lega Serie A announced. Costa clashed with the Sassuolo attacker at the end of Sunday’s Serie A match, which Juve won, 2-1, thanks to a brace from Cristiano Ronaldo, his first goals for the club. The Brazil international elbowed and headbutted Di Francesco then spat in his face, with referee Daniele Chiffi producing a red card after a VAR review of the incident. Costa apologized on social media without mentioning Di Francesco, while Juve head coach Massimiliano Allegri claimed his player had been provoked. Lega Serie A confirmed in a disciplinary update Tuesday that Costa will serve a four-match ban, with the punishment relating only to the spitting incident. Di Francesco, 21, son of Roma head coach Eusebio Di Francesco, has issued an angry denial after reports suggested he had racially taunted Costa. “I am profoundly upset by the allegations and the inventions which have appeared on various national media outlets,” Di Francesco said. “All of this is offensive and denigratory. Allegri said after the game that Costa would be fined by Juve following the incident. What is a Guard of Honour and will Real Madrid have to give Barcelona one in El Clasico this weekend?